The de Benito family’s connection with the world of wine started in the 1970s when the father of the present generation that run Bodegas Veracuz bought a bodega in Nava del Rey. It was his decision to follow the French in putting the Bodega alongside the vineyards, a revolutionary step for those times in the Rueda area. 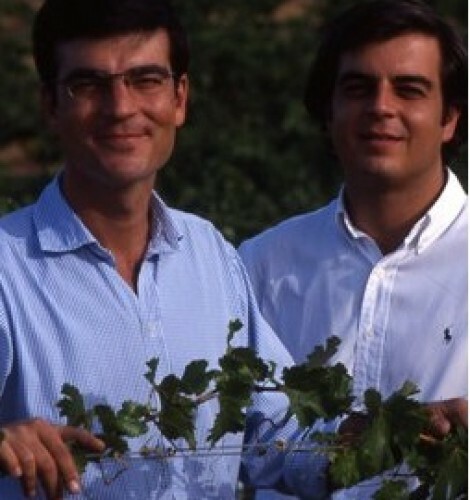 The de Benito family were pioneers in applying new wine-making techniques in order to change the style of the wines, taking them from the dullish, high alcohol wines made from over-ripe Verdejo to today’s wines which are an explosion of aromas, fruit and freshness. Nava del Rey was chosen as the site for the Bodega because of its privileged position within the Rueda D.O. Its proximity to the Duero River means that it benefits more from the Atlantic winds and at the same time, the contrasting daytime and night temperatures, both helping achieve the optimum balance between acidity and sugar levels in the grapes. The intention was and still is to create a small bodega, completely committed to quality, combining both the Rueda wine-making tradition reaching back to the arrival of the Arabs in the Iberian peninsular in the XI century) and the innovation and creativity that are essential for producing fine wines from the Verdejo grape variety. Their principles are to protect the environment, limiting the amount of human intervention, to produce a pure wine that reflects its terroir. A combination of some of the oldest vines in the D.O, poor soils and high density planting help to contribute to the exemplary quality of fruit harvested by Alvarez y Diez which is amply demonstrated in the finished wines. The vines are among the highest in Rueda, where there’s a huge difference between night and day temperatures, giving perfect balance between grape acid and sugar – perfect conditions for white wines!